According to a Recruitment Process Outsourcing Association interview with Pam Verhoff, president of Advanced RPO, because the unemployment rate is at a record low and the open job rate is at a record high, it is becoming more expensive for employers to find and attract the top talent in the marketplace. And, with the growth of automation in many fields, talent acquisition professionals may experience the especially high demand in technology fields such as robotics and computer operations. Given my role as a human resources and workforce consultant and futurist, I’ll recommend the following best practices to stay competitive in a tight labor market. Your hiring process can blend the high tech, high touch approaches and give prospective employees a strong sense of your mission, vision, values, and culture while maintaining speed and efficiency. Your experience can answer the questions: What is this organization about and why would I want to work there? Is this the right organization and role for me? How can I be a part of what this company delivers its customers? Strong candidate experiences may convert top talent by telling a compelling story that hooks candidates on inspiring company messages. They may leverage mobile and one-click apply apps to simplify the process, create and deliver personalized messages for consistent touchpoints, and solicit and implement feedback on the recruitment and hiring experience once candidates come aboard. For the rest of this article, head on over to the DeVryWORKS site. Hiring Managers: Are You Supporting Vets? In a recent Prudential Financial and IAVA survey published on Military.com1, two-thirds of veterans said they faced a difficult transition to civilian life, partly because they speak a different language than the business leaders hiring them. Tom Tarantino, chief policy officer for Iraq and Afghanistan Veterans of America, said that we aren’t doing a good enough job of training people leaving the military to look for work. “It’s less a matter of veterans overestimating their skills than it is miscalculating how their experience translates to nonmilitary jobs and how well business leaders comprehend what veterans can offer,” he commented. Because of these disconnects, a veteran who managed a few dozen people in the military might only be considered for an entry-level, individual contributor role in a private-sector organization, and significant achievements might be overlooked because they occurred in a military rather than a business setting. A few years ago, as a workplace and career author and consultant, I worked with the U.S. Department of Labor and the U.S. Department of Defense to overhaul the military’s Transition Assistance Program (TAP)2. This mandatory five- to seven-day program educates departing troops on job skills, vet benefits, and personal finances. The course explains the expectations, behavioral styles, cultural norms, and “lingo” associated with civilian employment and helps veterans adjust to a less rigid routine with increased individual competition. Perhaps most importantly, it guides veterans in effectively translating skills acquired in the military – which often include strategic thinking, scenario planning, critical thinking, problem-solving, coaching, self-discipline, time management, attention to detail, teamwork, interpersonal communication, and adaptability – to civilian jobs in which these exact attributes are needed. For the rest of this post, please visit the DeVryWORKS website. At this year's SilkRoad Connections conference, IDC VP of HR and Talent Research Lisa Rowan discussed the differing expectations that recruiting and hiring managers have regarding HR-related issues. These disconnects matter because the all-important employee experience begins with the first candidate contact, and employees are at the heart of the customer experience. Gap #1: Corporate Culture: Culture is viewed as a shared responsibility with an emphasis on HR. Line of business managers want more HR involvement. The main issue for HR? How do you translate culture? Gap #2: Employer Branding: Managers want HR to do more here as well. If the brand is good, respondents feel that it sells itself. But if it’s unclear, how can we figure out the right message for candidates, and whose job is that? Gap #3: Leadership Development: HR professionals think the responsibility resides with them, while line of business managers think it’s a joint effort and would actually like more direct involvement. Gap #4: Translating Corporate Goals: HR professionals feel they should lead the charge here and line of business managers think it’s a joint effort. Both groups would like more involvement and collaboration. Gap #5: Recruiting Strategy: Both groups are split on whether this was mostly an HR or shared responsibility, but both also feel that HR should do more. HR would like a bigger role in the overall workforce strategy, which directly impacts the recruiting plan. Gap #6: Candidate Pipeline: HR professionals see themselves as mostly responsible, while line of business managers feel this is a shared activity. Both groups want more control over the candidate pipeline. Gap #7: Writing Job Descriptions: Sixty percent of HR professionals say this is a joint activity and 60 percent of line of business managers admit that they should step up and do more. Gap #8: Job Posting and Social Outreach: Line of business managers are vocal in wanting a bigger role. The survey was clear that they aren’t being asked by HR to tap their networks for promising candidates. Gap #9: Screening of Candidates: HR is frustrated by line of business turnaround times. These professionals acknowledge ownership but nearly all (98 percent) want managers to step up! For Lisa's key takeaways, visit the SilkRoad blog. In late 2014, the Career Advisory Board’s Job Preparedness Indicator study revealed a startling fact: only 7 percent of hiring managers feel that most job seekers have the right combination of skills and traits needed to fill open positions. This means that while the market is robust and candidates are flooding pipelines, a company might interview 25 people and hire no one. It’s very rare that a candidate applies for whom hiring managers can check all the boxes. In the interest of providing actionable advice to job seekers, we set out to discover what candidates who are perceived as the “complete package” are doing in order to secure a desirable job offer. In our new Successful Job Seekers research, we surveyed over 550 professionals of varying ages and in different roles and industries. Our respondents had one thing in common: they were either recruited by a desirable company and received an offer without having to search for a new job at all (referred to as passive job seekers), or they received an interview for a job they ultimately accepted less than six months after starting a search (referred to as active job seekers). Here, I highlight the results of the research, including that the most effective candidates target, customize, and are organized and realistic about their opportunities. A short and fruitful job search is apparently not the numbers game that many think it is. Active job seeker respondents, on the whole, did not apply to dozens of positions and hope to get lucky. Instead, they targeted individual companies and applied to open positions very selectively. Fifty-one percent of active job seekers applied to five or fewer positions and 66 percent applied to 10 or fewer. Ninety percent of active job seekers wanted to be at least 75 percent qualified before applying for a position, and 41 percent wanted to be more than 90 percent qualified before applying. This discerning attitude works, as nearly a third of active job seeker respondents received an interview for more than half the positions to which they applied. An essential tool in our respondents’ arsenal was customization. Before applying, 67 percent of active job seeker respondents reached out to the contact person to inquire about the position, and 32 percent reached out to their network to get inside information on the role and company. Alongside their applications, 67 percent included a resume containing the keywords and skills listed in the job description, and 56 percent wrote an email or cover letter pertaining specifically to each open position. Once an interview had been secured, 84 percent of both active and passive job seekers updated or created a new resume for that opportunity. In preparing for individual interview conversations, 63 percent reviewed the company website, 52 percent Googled the company, 46 percent brainstormed concrete examples of how the job description matched their skill set, 28 percent talked to current employees at the company, and 26 percent Googled the interviewers. Organization is important to successful active job seekers: 73 percent kept files on each opportunity, 64 percent stuck to a weekly to do list, and over 50 percent used an online calendar or smartphone app to manage appointments. As one might expect, timely follow up was critical to securing an offer. Sixty-five percent of both active and passive respondents emailed thank you notes after an interview, 17 percent mailed hard copy thank you notes, and 16 percent called to thank the interviewer(s). They didn’t follow up too much, however. While 64 percent of respondents followed up after the interview at least once, only 6 percent followed up frequently. Finally, successful seekers managed their time carefully. Though many career advisers suggest treating a search like a full-time job, most of our respondents didn’t. Only 7 percent spent more than 3 hours a day on their search, 47 percent spent 1-3 hours a day, and 45 percent spent less than an hour each day. The most successful active and passive job seekers were willing to settle to some degree. Most accepted jobs that were superior in only a few ways (role, industry, company, geographic location). Sixty-three percent accepted roles they felt were desirable, 55 percent accepted a role at a desirable company, 51 percent accepted a role in a desirable location, and 46 percent accepted a role in a desirable industry. Only 21 percent felt they received an excellent offer, 61 percent thought the offer was good enough, and 19 percent thought the offer was not good, but they wanted the work. Have you been very successful on the job search? What made it possible for you? Could We Really Make One Day Hiring Work? John Sullivan is one of the most respected HR thought leaders in the world. I have been reading and citing his ideas forever, and love getting his articles through my ERE.net subscription. John tends to put forth ideas slightly before they catch on in the mainstream, and that’s why my interest was piqued when he introduced the single-day hiring process. We all know that hiring takes too long. By the time your organization gets it together enough to make an offer, a top candidate has gone somewhere else. Unemployment rates are dropping rapidly, and no one has the time to sit by the phone for months, waiting for the opportunity to interview with you for the third time. Lengthy hiring processes are also outdated. SilkRoad and I have been talking about the future of talent acquisition a lot this quarter, and two things keep coming up over and over again: 1) Operating with open positons hemorrhages money and kills productivity, so we need a way to hire in as close to real-time as possible, and 2) The expectation that the best candidates will walk into your office for several in-person interviews at a moment’s notice is unrealistic. Technology has facilitated an evolution in these areas, yet our processes lag behind. Enter John Sullivan’s one-day hiring idea. Could Speed Recruiting Be the Answer? One-day hiring is a condensed corporate process in which you complete all interviewing and reference checking and make an offer before the candidate leaves the building or finishes an initial digital interview. John provides a lot of helpful details on ERE.net, but there are two important things to keep in mind. First, a great deal of assessment and vetting of the candidate must take place before the day in question so that you can ensure he is a good fit skills and culture wise. Secondly, one-day hiring should be reserved for the 5-20 percent of jobs that are hard to fill because most qualified candidates are off the market in days. For more where this came from, take a look at the SilkRoad blog. Do You Reject Candidates Politely? You can get things off on the right foot by explaining your selection process before or during an interview. When you provide this information, the candidate will know exactly when they can expect communication from you and will be less likely to check in repeatedly about offer status (or sit and stew about why they haven’t heard from you). Now that most organizations have an applicant tracking system and/or career portal that can send automated emails to candidates at various stages of the recruitment process, there’s no excuse for allowing a rejected candidate to disappear into a black hole. However, if they went through the trouble of coming in for an interview, you should really call them as soon as you’ve given an offer to someone else – if not sooner. You’d be surprised how fast word gets around in local job hunting circles. If your call gets sent to voicemail, leave one. They might be one of those non-checkers, but that’s not your problem. A voicemail is better than no call at all. For the rest of my tips, head over to the SilkRoad blog. The first piece of business advice I was given that stuck was to greet a new person with a firm, enthusiastic handshake. Since that day 16 years ago when my boss said my shake had to be “more confident,” I've been telling countless college graduates to think about their handshaking approach as a critical part of making a solid first impression. After all, you don’t want to be a dead fish (too limp) or a bulldozer (too aggressive). And it takes practice to get it right. Now, though, there’s a worldwide movement to banish the handshake from our business culture. Citing concerns aboutpublic health based on Enterovirus D68, Ebola and other highly contagious diseases, several institutions are now on the anti-handshaking bandwagon. Earlier this year, the Journal of the American Medicine Association instructed hospital staff to avoid them, then Aberystwyth University, a U.K.-based university, published a study illustrating that handshakes spread too many germs. Numerous articles from sources as varied as TechCrunch andThe Washington Post to the Los Angeles Times and Vox have extolled the virtues of eliminating the handshake and replacing it with the "Hey bro" fist bump pioneered by President Obama during his first campaign. There's even a website that promotes the fist bump or, as the site calls it, the bumpshake. The fist bump has caught on a bit, I admit, but it does not and should not replace the handshake. For one thing, many people think it’s silly, and you don’t want a new business associate’s first impression of you to be that you’re a buffoon. For another, using a fist bump risks offending a contact who expects a handshake. Even if the person you’re meeting doesn’t care if you twirl in a circle as an introduction, there's nothing more awkward than a non-reciprocated fist bump left hanging in the air. It took thousands of years for the handshake to root itself firmly in our culture. Until the fist bump approaches the same tenure, you’re safer using the handshake—it's the gesture of the masses. What if you’re in a new work situation and you’re worried that the handshake is out of vogue? In that case, carefully observe the greeting behavior of others around you. Your goal is to assimilate. If no one else is shaking hands, then you shouldn't be the only one to do so. I suspect, though, that in the Western world, these situations are few and far between. For more of my take, head over to the full post at the AMEX Open Forum. Hiring: Are You Being Too Picky? 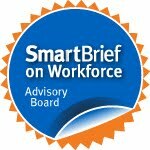 The 2014 Job Preparedness Indicator study conducted by the Career Advisory Board confirmed previous reports that a skills gap exists at all levels of U.S. employment. Only 7 percent of hiring managers said that “nearly all” or “most” job seekers have the right combination of skills and traits that their companies need to fill open positions. This belief causes them to spend months interviewing candidates, often walking away without having hired anyone at all. What’s interesting, though, is that the hiring managers in the study also said that they commonly see essential, individual skills – such as accountability, problem-solving, and time management – among candidates. What does this mean? I’d speculate that although hiring managers recognize stellar traits when they see them, they won’t settle for anyone who isn’t the perfect package. I think that sometimes, hiring managers forget that they are dealing with human beings. And human beings simply aren’t equipped to be all things to all people all the time. For example, you could bring in a candidate who has the exact experience you’re looking for and appears to have a strong work ethic, but her verbal communication isn’t top-notch because she’s not a native English speaker. Or maybe you get that native English-speaker who uses correct grammar in everyday conversation and has the best employment track record you’ve ever seen, but her experience isn’t in your industry. I’d argue that given the skills gap, you ought to seriously consider both of these individuals. And yet more often than not, hiring managers don’t. They remove them from consideration because in an endless series of qualification boxes, one isn’t checked. They don’t hire anyone because candidates for which every single box is checked don’t exist. The expectation that they do is unreasonable. For advice on how to appropriately manage expectations, check out my advice on Intuit's Fast Track blog. Great question, and the first thing to understand is that you aren’t creating one resume, but many resumes. Especially if you are applying for jobs that involve different types of roles in different fields, you must customize your resume for each open position. The main way to do this is by including the language in the job description. For instance, if an advertisement requests someone who uses “creative training methods,” make sure you incorporate that exact phrase on your resume for that job. The employer’s applicant tracking system is programmed to hunt for the words in the job description, so putting them in usually ensures your resume will be looked at by an actual human. You don’t mention whether you’re trying to break into a new field or not; but, either way, look closely at the job description to determine how to list your experience. Since you’ve had a long career, presumably you’ve acquired critical transferable skills such as project management, client relations and sales. Note any skills mentioned in the ad, put those front and center on your resume and don’t forget to add bullets demonstrating how you applied those skills and how your efforts concretely affected the bottom line. To address your first point, if you are listing every position you’ve held since you graduated from college, your resume may indeed be too long. Depending on the role you’re going after, remove jobs that are irrelevant — or only slightly relevant — to the new position. For example, if you are applying for a job in a Fortune 500 company as a VP of training and development, your teaching jobs may be a better fit than your grant-funded job. Your resume should be concise while also telling a coherent story. Your career, just like life in general, might be a bit muddled — but your job as a great resume writer is not to let that show. Finally, working well into your sixties and seventies is a reality for most employees today and organizations should feel lucky to get a seasoned Boomer, but nevertheless, age discrimination does exist. For this reason, I’d encourage you not to advertise your age on your resume. Don’t include the date you graduated from college, and if possible, highlight jobs from the last 15-20 years. Refer to sample resumes from your field(s) online to ensure that you are up-to-date with the most current presentation of information. Are You Hiring the Best People to Manage Your Projects? When you bring in new project managers, do you do so strategically? Interviewing is subjective, of course, but for the essential job of Project Manager, you want your process to be as bulletproof as possible. After all, ending up with a bad Project Manager could cost you big time. Fortunately, PMO director Russell Harley is here to share his best practices for making the right hiring decisions upfront. Alexandra Levit: Russell, what’s the biggest mistake that hiring managers make when recruiting new PMs? Russell Harley: They use generic job descriptions. You’ll see things like “good communication skills,” “be a self-starter,” and “work well with teams.” Well, job descriptions like this will quickly get you overrun with responses that are hardly targeted. So instead of wasting time with vagaries, describe the details of the actual project, and if you want it done using a certain methodology, say so. While stellar project managers can usually work on any type of project, there are certain projects we really enjoy doing versus ones we are capable of doing but would prefer not to. By putting the specific needs for the position into the job description, you are far more likely to get responses from project managers who really want to do that type of project. And wouldn’t you rather have someone leading the team who doesn’t think of it like a dentist appointment? Alex: Do you recommend hiring PMs for specific technical skills? Russell: Someone once commented on my blog that a good project manager’s knowledge is a mile wide and an inch deep. Technical skills can often be learned, but excellent PM skills are harder to come by. By requiring PMs to have very specialized knowledge, you will dramatically reduce the pool of applicants, and an outstanding PM who could do amazing things for your company might be left out. Deciding on what is truly needed for every position will save you time and attract the right people. For more of Russell's tips, have a look at the full post at Intuit's Fast Track blog.